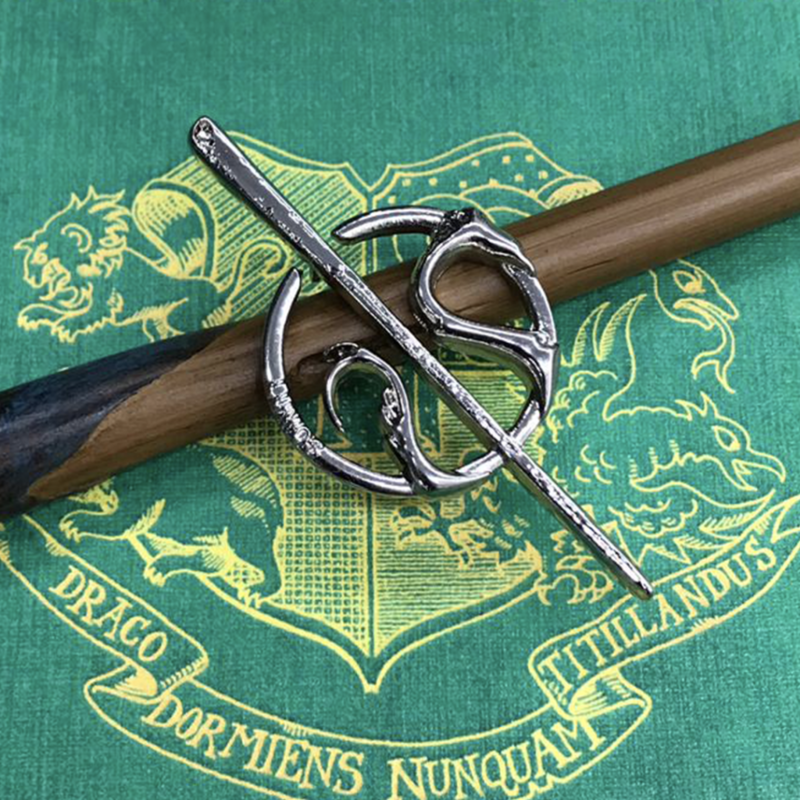 A brand new and limited edition Newt Scamander pin badge showing the famed magieoologist’s wand just launched on behalf of Lumos, giving buyers the chance to win tickets to the UK premiere of Fantastic Beasts: The Crimes of Grindelwald! 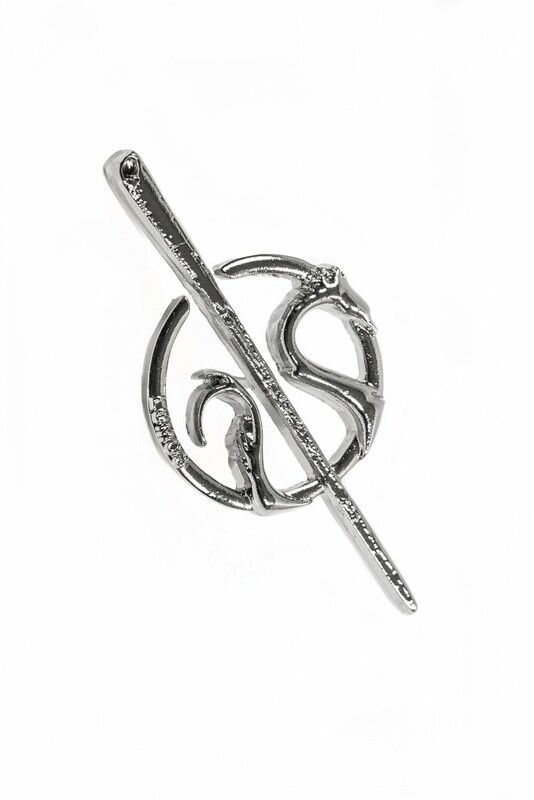 The pin badge (below) is priced at £5.99, and features Newt’s wand and an Occamy. 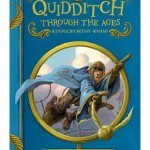 It’s available until 31st December at wearelumos.org/fantasticbeasts, helping the charity by J.K. Rowling to continue their mission of ending the institutionalisation of children worldwide. A special installation will begin this month in London to celebrate the Crimes of Grindelwald release on November 18th, and also raise awareness of the charity. 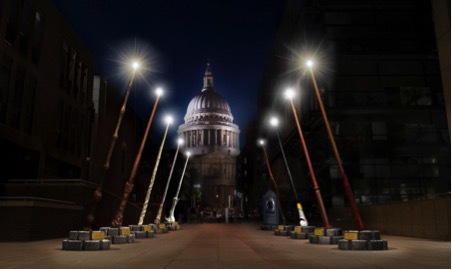 From 18th October until 13th November, nine 15ft wands will cast ‘Lumos’ on the walkway between Millennium Brige and St Paul’s Cathedral between 6:45pm and 10:45pm each day, and special events will be hosted in the area, including a live performance of music from the Harry Potter and Fantastic Beasts films by a marching band, wand choreography classes, and more! Attendees will also be able to buy these pin badges exclusively at the installation. 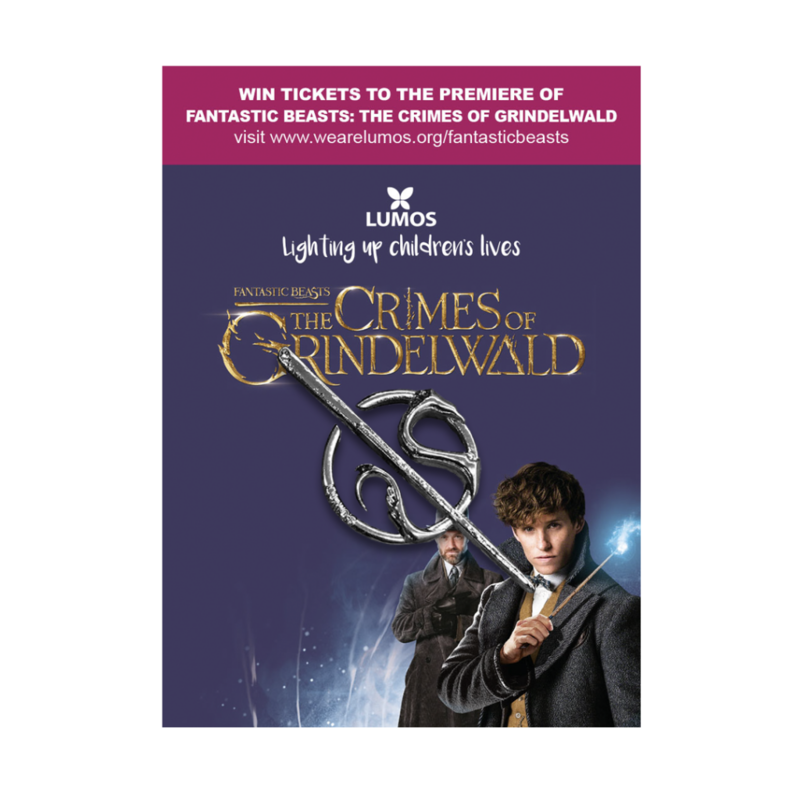 Even better, if you buy a badge before 11:59pm on 31st October, you’ll also have the opportunity to win two tickets to the U.K. premiere of Fantastic Beasts: The Crimes of Grindelwald, taking place on 13th November! 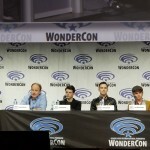 Read more about the newly-announced premiere dates here. Once you’ve ordered your pin, enter the competition to win tickets by filling out this form! 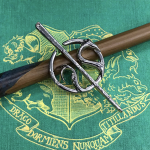 If you’re living in the UK, Europe, US and Canada, be sure to get your hands on one of these limited-edition pins before 31st December, 2018 here, and support Lumos in their mission!